Ben and Me's Blogging through the Alphabet series is on the letter U. Today is Dr. Seuss's birthday. My favorite Dr. Seuss tale is the environmental allegory The Lorax. 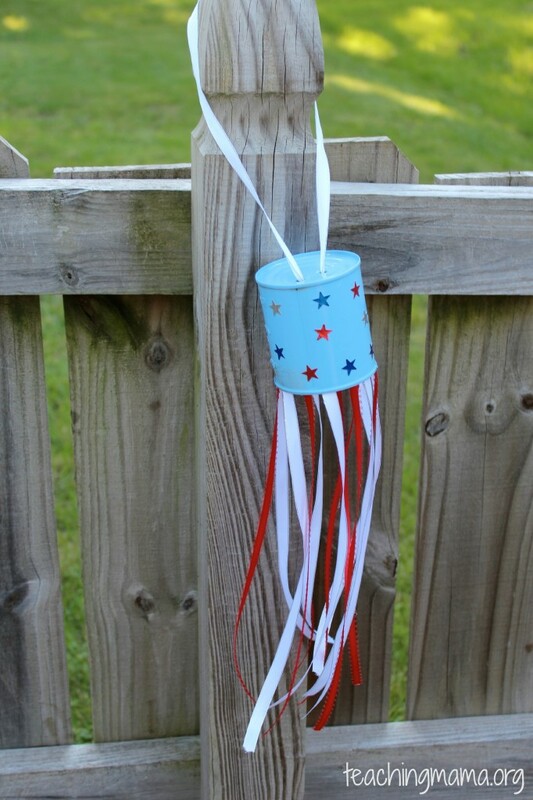 That means it's a perfect day to share some Upcycled Crafts! Upcycling is simple. It's repurposing materials that would otherwise be considered unuseable. 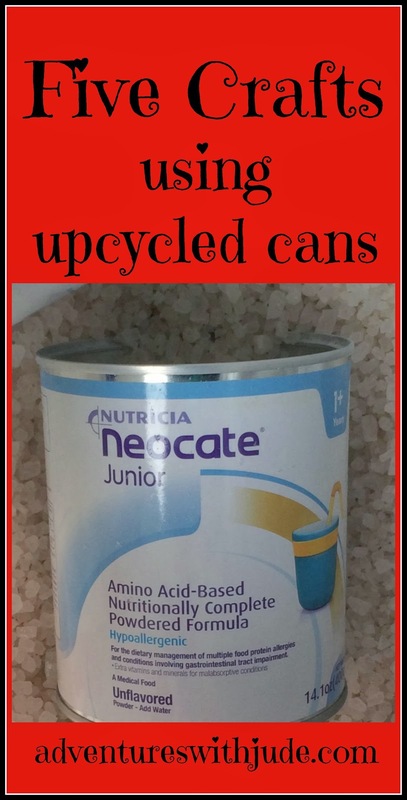 Something we are always looking for something different to repurpose are cans. Celia and Damien's formula powder comes in metal cans, and when you go through two or three each day, you start to lose creative steam quickly. 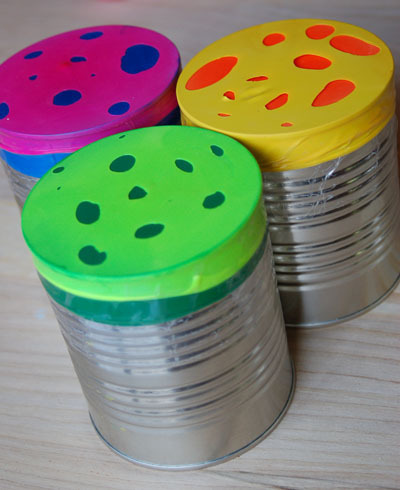 Here are five crafts that look like a fun way to repurpose any can. 1. The base of a windsock. There are tons of ideas out there, from freehanded designs to patterns. This tutorial from Creative Homemaking is one of my favorites because of how clear it is. Drums are always popular. How about a set of bongos, like these from Big Thoughts, Big Noise: Creative Kids Charity? I've seen lots of these on Pinterest, but this one from Plum Adorable is...well, just plum adorable! 5. This last one is one we've made. 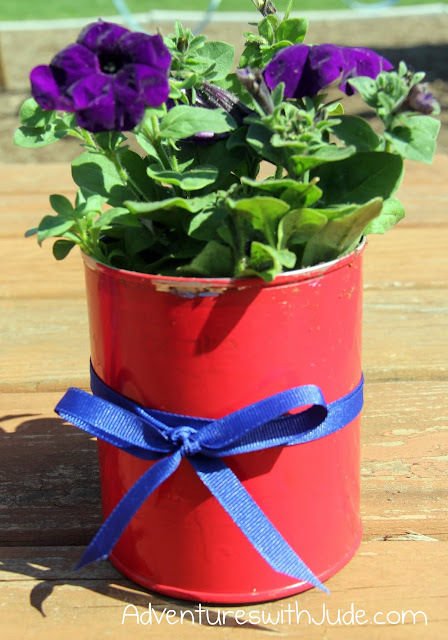 You can decorate it for any holiday by changing up the paint or ribbons. Jude, Damien and I made these Mother's Day Planters last spring.